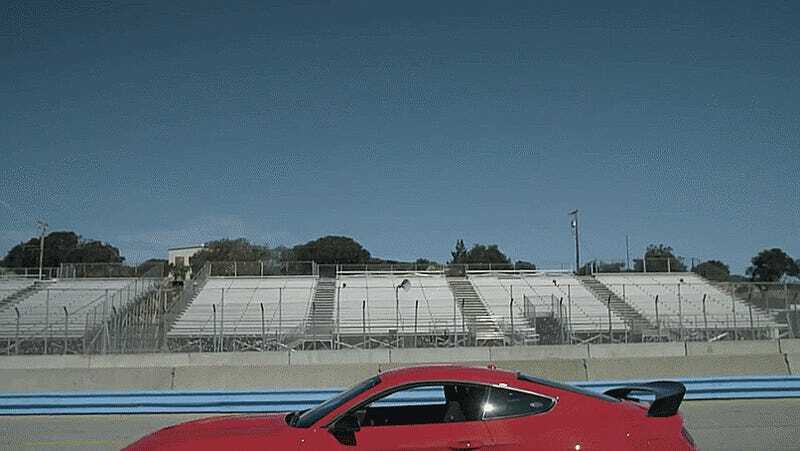 You can read Robb Holland’s Ford Shelby GT350R Mustang review to get a sense of why we think it’s the best performance car to come out of Ford (until they let us drive the Ford GT), but nothing beats listening to the fastest Ford Mustang you can buy wide open at Laguna Seca. We didn’t even put audio over it. It just sounds too good. Just listen to it.